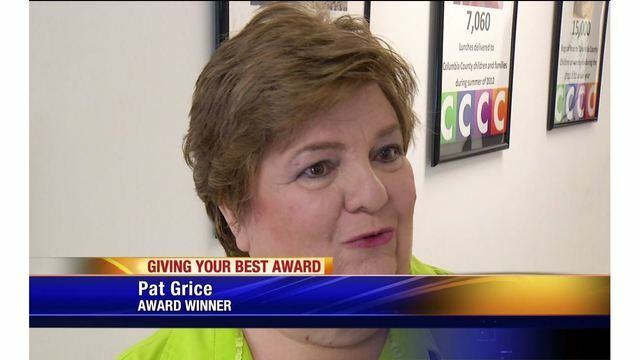 I have known Pat Grice for many years, this award is well deserved. Congratulations Pat. AUGUSTA, Ga. (WJBF) – Pat Grice is a volunteer with Columbia County Community Connection and Columbia County Cares. She delivers food and clothing where it’s needed, coordinating with consignment shops and grocery stores. What began 11 years ago with just one school, now serves 31 schools. Pat had another reason to celebrate when the WJBF cameras showed up at her office– making it an extra special birthday as she was presented the Giving Your Best award!! !